I have been a big fan of Cardinal Dolan ever since I read his book Priests for the Third Millennium during my early days in seminary. Years later, I was delighted to have him as my Archbishop while carrying out my ministry in New York City. I had the good fortune of running into him on a number of occasions, and I was always impressed by his jollity and accessibility. He is a very down-to-earth man without pretentions, someone who exudes good-will and charity to everyone he meets. On one occasion, while I serving mass for him in St. Patrick’s Cathedral, I watched him stand in front of his cathedra and look around at the packed church with a big smile and eyes full of joy. It was very evident that he was genuinely thriled to be there. There is no doubt that he loves his people and he loves to be with them. 1. The Church is trying to evangelize a post-Christian society. As a priest friend of mine once told me, “We just have to admit it: we live in a post-Christian society”. It’s true and there is no way around it. The New Evangelization is taking place within the context of the most secular society to exist in the West since the Edict of Milan. We are faced with quasi-pagan world that is spiritually ignorant and morally confused. Our world is so aggressively secular and poorly catechized that we are faced with a situation similar to that of the early Christians in pagan Rome. Consequently, before we can even begin to evangelize, we have to pre-evangelize. This means that even before we begin teaching the Gospel, we have to “remove new barriers by deconstructing the false notions”, as another friend of mine put recently. One of the major barriers facing us is that many people paint the Church as a hateful, antiquated organization seeking to impose outdated rules on modern society. Perhaps no one promotes this erroneous view more than those advancing the homosexual agenda. To disarm these anti-family lobbyists of their anti-Church propaganda, we have to go out of our way to show them that we do not hate homosexuals or anyone else for that matter. This is what Cardinal Dolan is doing by participating in the next St. Patrick’s Day Parade. He is removing one more barrier between the Church and the secular world, thus making it all the easier to bring more people to true repentance and the fullness of the truth. 2. Christ was not afraid to socialize with sinners despite the scandal that it caused. It has already been pointed out by many that Cardinal Dolan is in very good company. Jesus Christ himself ate with tax collectors and sinners, incurring the indignation of the Pharisees. In Jesus’s time, socializing with such people was often seen as an endorsement of their sins, but he did not care whether his actions were seen that way or not. All he cared about was reaching out to lost sheep desperately in need of his love and mercy. I believe that Cardinal Dolan is doing the same thing by marching in the parade. His action is sending a very clear message similar to what he told ABC’s “This Week” about gay and lesbians who felt rejected by the Church: “Well, the first thing I’d say to them is, ‘I love you, too. And God loves you. And you are made in God’s image and likeness. '” Cardinal Dolan is a very loving man, so I like to think that his going to the parade is his way of offering a big bear hug to all of those who feel disowned by the Church. His action is a very significant one that clearly says that the Church’s doors are wide open. All this being said, it should be remembered that the Cardinal is in no way changing Church doctrine. It also goes without saying that returning to the Church always requires repentance and acceptance of the truth. 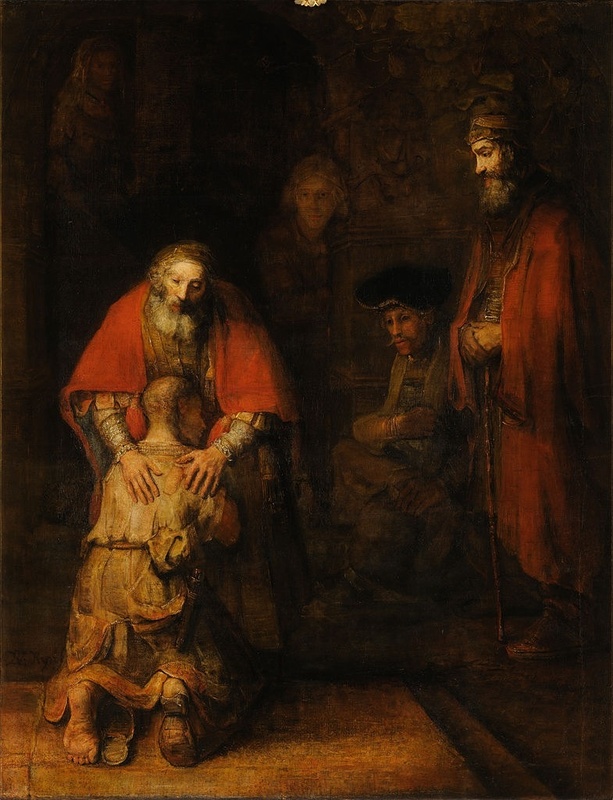 He is not saying that homosexual activity is permissible, but rather that Christ loves everyone, even those who struggle with homosexual attraction, and he is waiting to embrace them as the merciful father embraced the prodigal son. 3. The Cardinal is entitled to prudential judgement. Real life is not always black-and-white. We are often faced with situations that are messy and have no easy solution. In such predicaments, it is necessary to discern the best way forward based on principles of action. The conclusion of such discernment is called a “prudential judgement” which applies broad and general principles of action to very concrete and particular circumstances. 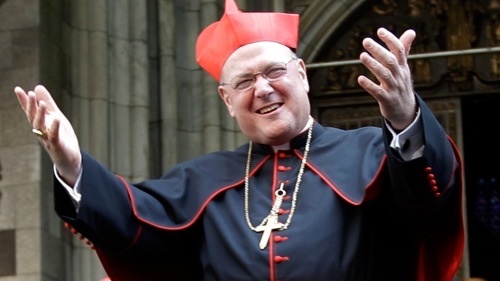 Cardinal Dolan found himself in a tricky catch-22 type of situation: he could refuse the offer to be grand marshal and thus enrage many homosexuals, or he could accept the offer and anger many Catholics. He was faced with two options, each with corresponding risks and benefits: refusing would further distance the secular world from the Church but would avoid the risk of internal turmoil; accepting would make it easier for the secular world to approach the Church while probably causing some unrest within her. In the end, he chose the option that would make it easier for the lost sheep to return to the flock. It is easier for him to mitigate the internal confusion caused by his decision than it would have been for him to mitigate the secular rage he would have otherwise incurred. But in so doing, he is not neglecting those who are already in the fold. His outreach to homosexuals is balanced by his continual upholding of the Church’s teaching on the family and on chastity. Some may not agree with his decision, but at the end of the day, he is the one who is Archbishop of New York. He knows his flock better than we do, and he has the power and authority to make the prudential judgement that he made. In this new post-Christian era, the pastors of the Church will be faced with more and more situations where they must achieve the delicate balance of making the Church accessible to the secular world while at the same time clearly upholding her teachings. We must pray hard for our bishops and our Pope to be illumined by the Holy Spirit, and we need to respect the decisions that they make. The bottom line is this: before the Church can even hope to successfully instruct our post-Christian world on moral truths, she must make it abundantly clear that she loves the people of this world, no matter how post-Christian they may be. This does not mean watering down doctrine, but it does mean leaving the comfort of the fold to go out to seek those who are lost. For an excellent reflection on the significance of this controversy, please read this excellent article at http://www.mainstitute.org: “St. Patrick’s Day and the Challenge of the New Evangelization”. Thank you! Solid with many good points. I hope this reaches many. I have shared it on my FACEBOOK page. Thank you, annecatholicelizabeth! Count on my prayers. I like the three valid points laid out so clearly. Despite the beauty of the Theology of the Body in a hyper-sexualized world we can quickly begin to make Theology just that, Theology of Sexuality, which is not what Our Lord taught. Being over concentrated on themes such as “Divorcees receiving Communion”, “Homosexuals (and their agenda)”, etc. is exactly what pop-media wants and for Catholics to become attached to these themes would be a failure on our part to preach the pure heart of the Gospel, Jesus Christ. Thanks for your input, John. Great point. On Facebook, I have received strong disagreement from some about what I have written. Perhaps the following thoughts will help clarify. (2) I probably should have made it clearer in my post that outreach to gays must be balanced with an equally strong effort to show support to those already within the flock and help them understand that outreach is not capitulation but pre-evangelization. (3) No matter what the Church does, the secular world is going to misconstrue her actions. If she reaches out to gays, the secular world will say that she is finally accepting homosexuality. If she speaks out against homosexuality, the secular world will say that she is homophobic. We should not let the reactions of the secular world decide how we evangelize. Our approach should be a fearless “both/and” approach: we must reach out to homosexuals showing that we love them while at the same time preaching the values of chastity and strong families. Im glad you clarified your points. This is a very sensitive issue no doubt. The main goal is to evangelize and bring them into the Church we agree. We can also agree that the disagreements concern the method. My problem with your analogy to Christ and his fellowship with sinners is that it is an incomplete one. Our Lord left no doubt that he was there to tell them that they were sinners and they needed to repent. 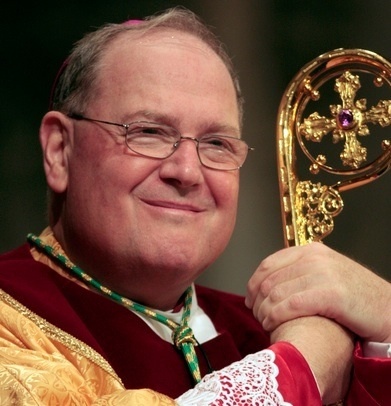 The message that Cardinal Dolan is that we love you, fine. Coupled with the statement by the Holy Father that we should not judge homosexuals we have very little by way of “pre-evangelization”. Repentance is playing very little to no part in this effort. This is an incomplete Gospel if one at all. At what point do we keep doing this? If pro abortions organizations were to join the parade should his Eminence stay on in order to show the we dont hate abortion providers? I wonder how his prudential judgement would go on that one? My problem is not so much with his being in the parade as it is for the reasons that are given since the parade is more of a cultural event than a religious one. However should a Catholic university invite a president who is pro abortion to receive a degree? Im not optimistic that this is a strategy at evangelization outreach but rather to protect the image of the Church to the world and gain its respect. The homosexual community is not satisfied with our love for them. They have one aim in mind namely to convert the Church to their moral creed. The Church must be the Church Militant at some point. Of course this doesnt mean being mean and obnoxious but it does mean at some point the Church must stop trying to placate to the secular world’s sensitivities and those in the Church as well. So to clarify I just want to say that Im not necessarily down on him being in the parade. I’m down on the attitude that says that we should not offend the world because it makes it easier to reach out to them. This is wrong. Certainly we should follow the admonition of St Peter to speak with “modesty and fear” (other non Catholic translations say “gentleness and respect”) but remembering that St. Paul tells us the Cross is “foolishness” (1 Corinthians 1:18) and a “scandal” (Galatians 5:11 in Protestant translations an “offense”) to the unconverted. This means at some point the Church is going to have to be the Church offend the worlds sensibilities. JR, thank you very much for your thoughtful insights. I think your critique about my incomplete analogy is a valid one. Christ certainly called the sinner with whom he socialized to repentance, our bishops and pastors need to do the same. The only thing I would qualify is that they have to be prudent and make that call to repentance at the right time and in the right way. Christ himself showed prudence and tact, for example, when he called the Samaritan woman to repentance (cf. John 4). First he engaged her in dialogue, and it was not until later in the conversation that he revealed to her the sinfulness of her lifestyle. He waited until the moment when her heart was open. I would argue that Cardinal Dolan and Pope Francis are doing the same thing – waiting until the right moment. Your question about how far we should go with our outreach is an interesting one. I think that we need to trust in the Holy Spirit to guide our pastors in drawing the line. You wondered if the Cardinal would draw the line with abortion. I think he would, without a doubt. There is a major difference between homosexuality and abortion. Homosexual orientation in itself is not a sin but acting upon it is. Abortion, on the other hand, is unquestionably an absolute evil, no matter what. This is true but its safe to say that the homosexuals marching in this parade arent doing any struggling with their orientation. They have embraced and celebrate their objectively disordered orientation. You are wrong. Jesus told the sinners to repent, go and sin no more. Dolan says “who am I to judge” (if what you are doing is sinful. RESIGN DOLAN! FOR THE SAKE OF YOUR OWN SOUL AND THOSE WHO YOU ARE MISLEADING!!! Thank you for your input. Please see my response to JR regarding Cardinal Dolan and the call to repentance. Also, if you would allow me, I would like to offer a reminder that it is very important for us to discuss these issues with great charity. Vitriolic and ad hominem comments do not help the Church. If you sincerely believe that Cardinal Dolan should resign, I suggest that you lay out your reasons in a logical and fair manner. JR, you are right: the gays participating in the parade will probably be celebrating their homosexuality. My point was that homosexuality and abortion are two different problems requiring different responses. Abortion requires a very strong response because it threatens the lives of innocent, helpless children. Homosexuality is a much more complex reality that requires a more nuanced reaction from the Church. Here are words from the Cardinal himself regarding his decision. Thank you, Francois! God bless.